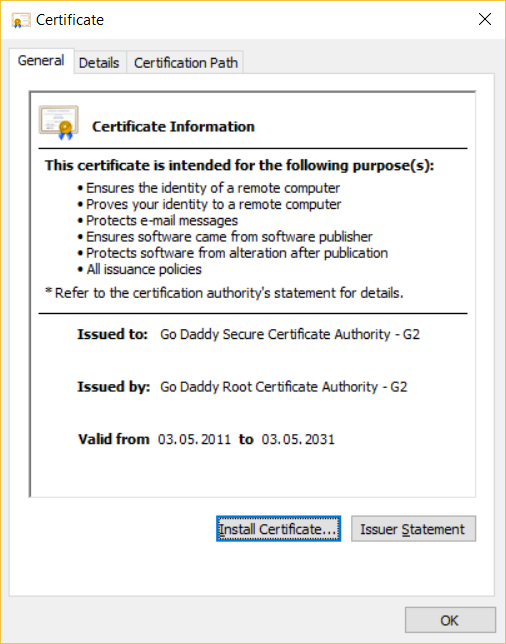 In some rare cases you must install the skywats.com certificates manually. 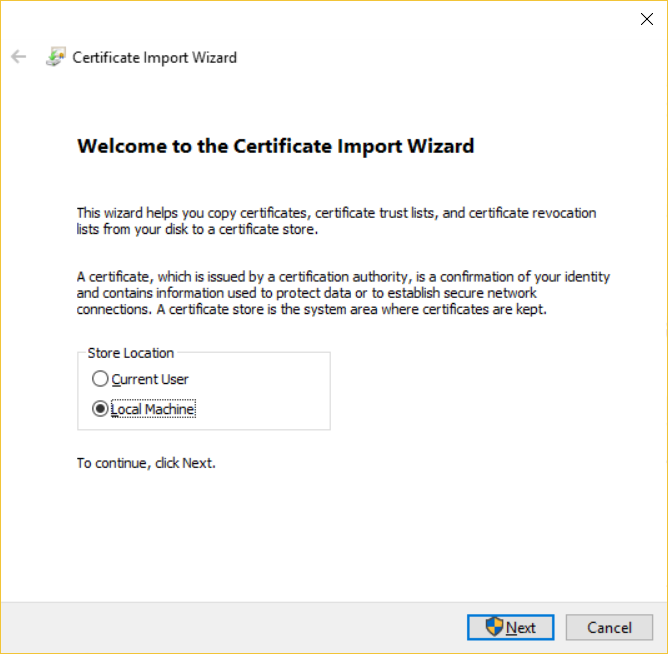 Please follow the steps below to install the certificates. 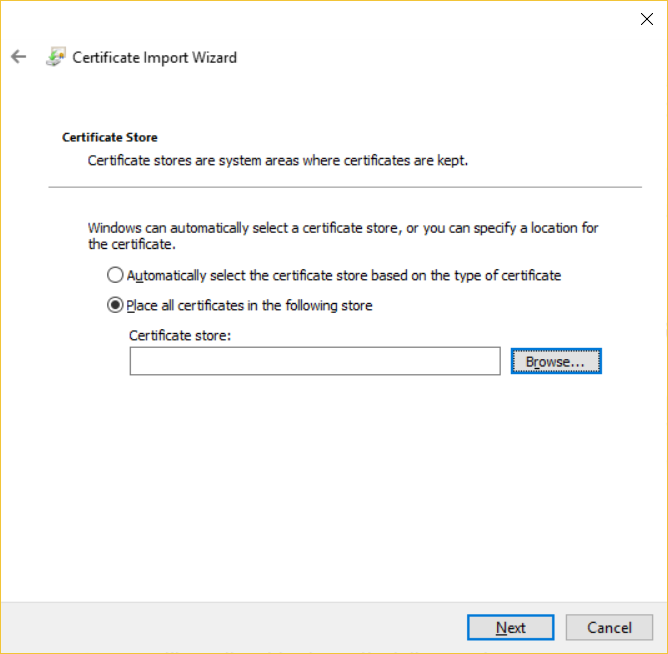 Select Place all certificates in the following store, and click the Browse button. 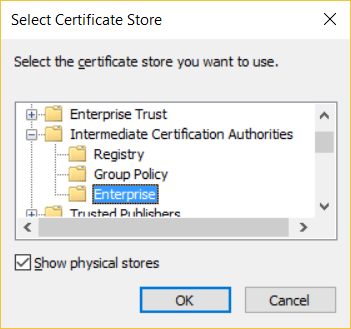 Check Show physical stores, and select Enterprise (or Local Computer) under Intermediate Certification Authorities.